Ceramics are used for variety of porposes everyday. They enrich our dining table and color our daily life as a kind of interior decoration. However these items in life are often taken for granted and hardly recognized. We encourage you to feel the soil, the fire and the sincerity of the home of ceramics, and sense the “life with ceramics” again. To know ceramics, we believe it’s important not only to promote products themselves but also to convey how to use them. 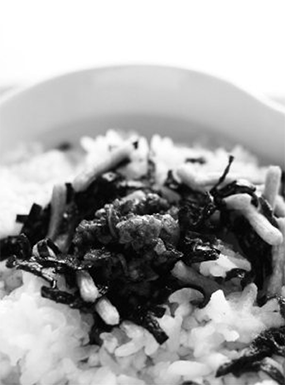 Although “Ochazuke” seems to be a quite simple menu, it is actually a very intriguing dish. 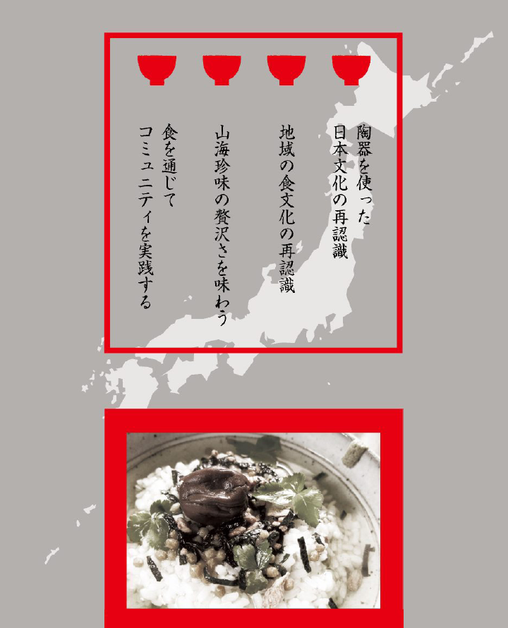 It gives us ideas of various combination of usage of ceramics such as chawan (rice bowl), small plates, yunomi (tea cup), kyusu (tea pot) and hashioki (chopstick rest). 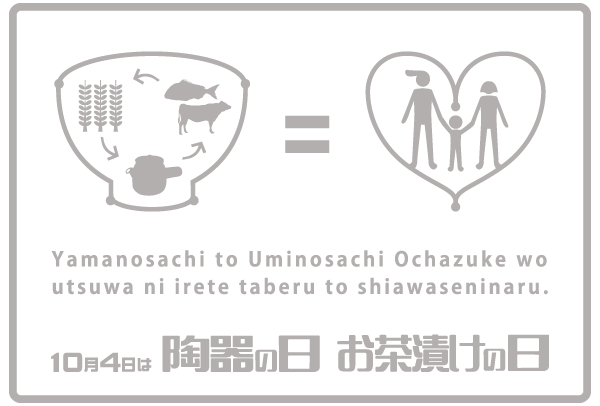 By introducing “Ochazuke” as a motif, and promoting the usage of ceramics with the idea of October 4th = “Ceramics Day” = Day for Eating Ochazuke = “Ochazuke Day”, we establish a new “Ceramics Day” as “Ochazuke Day”.